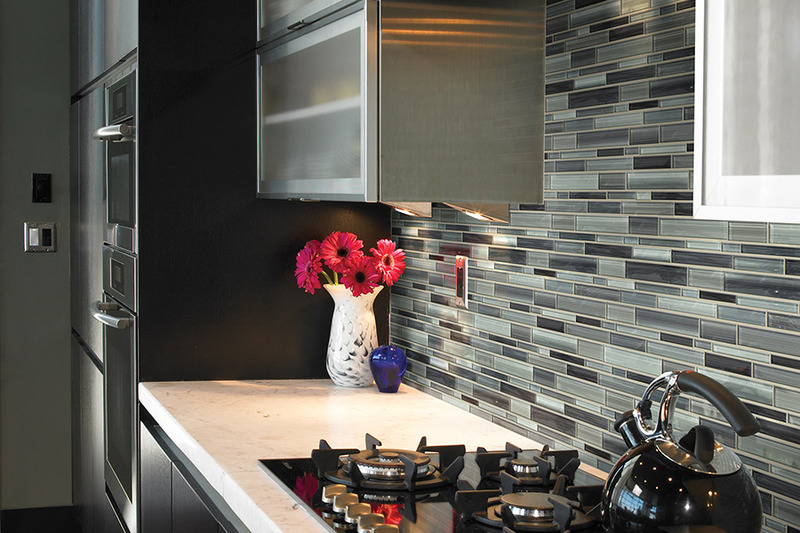 Tile has endless possibilities for floors or walls. It is very durable, easy to clean and when it’s installed correctly, can last a lifetime. We carry and install wall tile and tile flooring in wide array of styles, sizes, colors and materials.Not sure what tile is best for your needs? That’s where our knowledgeable and friendly staff comes in. 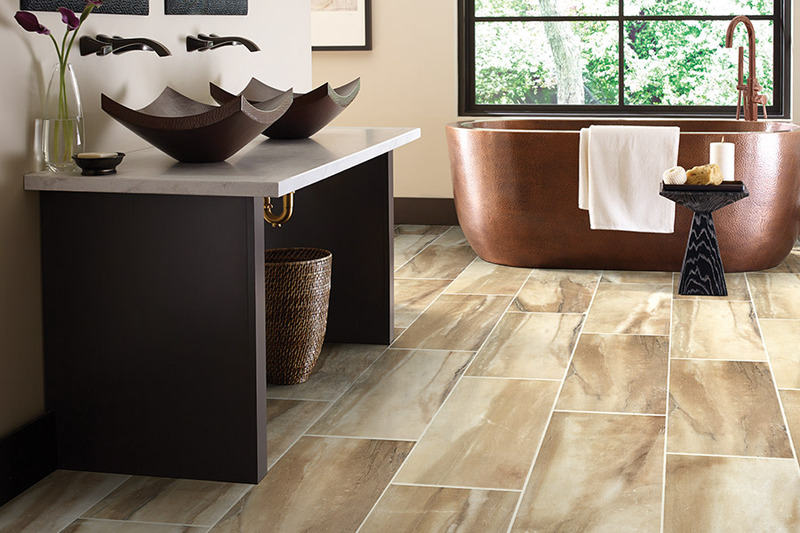 From natural stone to ceramic tile and porcelain tile in endless patterns and colors, we’ll honestly discuss the pros and cons with you to help you find the tile that is right for your project. 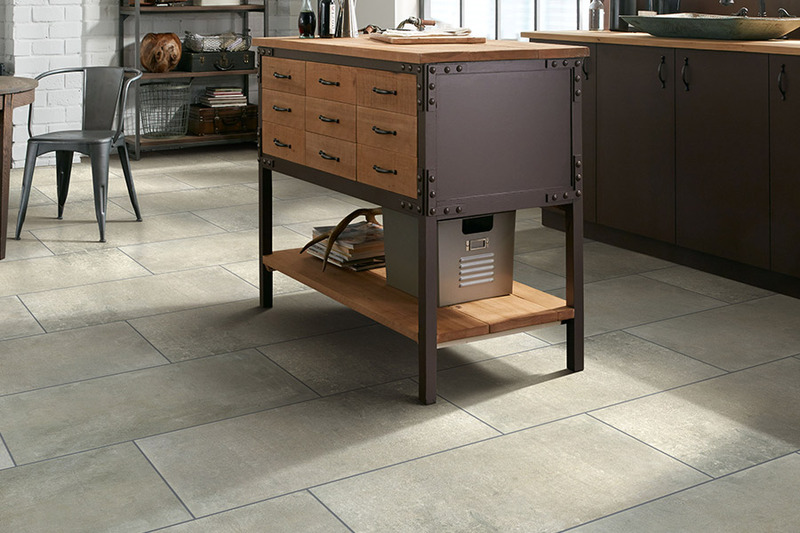 Natural Stone Natural stone flooring lends beauty with a touch of nature to any location. Marble, granite, slate, travertine and limestone all work well in flooring applications, as long as the floors are sealed. Ceramic Tile In addition to being beautiful, glazed ceramic tile is stain resistant, scratch resistant, fade resistant, slip resistant, and easy to clean. Porcelain Tile While once very expensive, porcelain tiles have become much more affordable. These tiles are made of finer clays and minerals, and are fired at higher temperatures, creating a denser tile. Tile can transform the floors or walls of any room, but a shoddy installation job can ruin the effect you were looking for. All of our tile floors are installed by factory certified installation crews with decades of experience in the installation of tile flooring. We can handle both residential and commercial applications, jobs both large and small. And the best part for you, the customer, is we back up our work with a lifetime labor warranty. So what are you waiting for? Contact us or visit our showroom today to see what we have to offer. 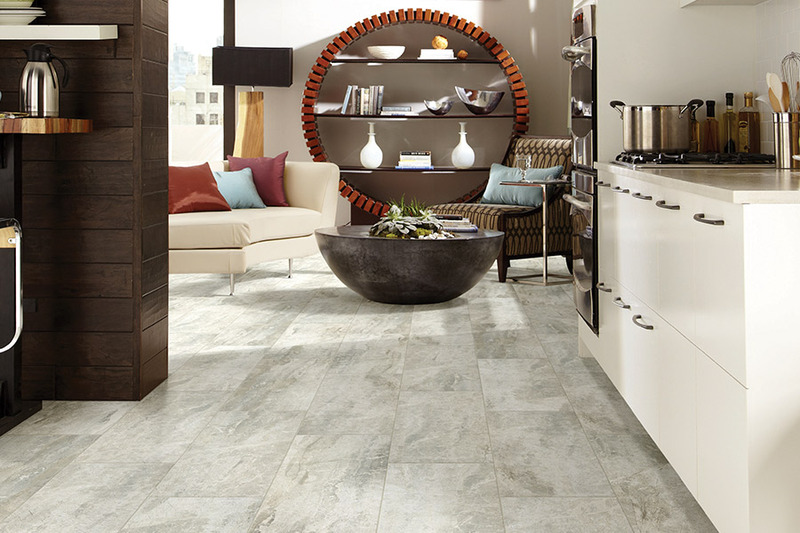 Ceramic & porcelain tile bring not only an air of stylish elegance to your home. It also brings functionality that can be completely seamless. From the kitchen and out to the patio, or from the bedroom leading right into the master bath, the continuity will be feltby everyone in the home. At the same time, it’s durable enough to stand up to busy households without needing excessive maintenance to keep things running smoothly. Carpet Concepts knows flooring and we know how important it is for homeowners to get the best flooring for their own needs and desires. From our showroom in Baltimore, MD, we proudly serve the areas of Baltimore, Perry Hall, White Marsh, Parkville, and Kingsville. We look forward to serving you as well, and invite you to visit us soon. We’ll walk you through all of our amazing floor coverings and make sure you find the best one that fits your needs as well as your budget. Since customer satisfaction is our number one priority, you will be treated with the respect you deserve. Placing ceramic & porcelain in bathrooms is almost a given. It seems to be the very placement it was created for, thanks to its amazing waterproof characteristics. With an appropriate slip-resistant glaze, it can even be added to the inside of your shower area. 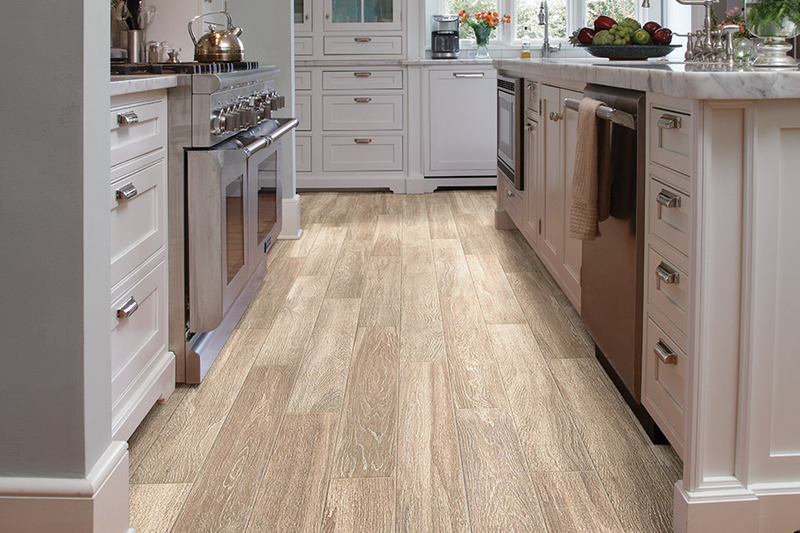 The waterproof benefit also allows this flooring to be used with confidence in kitchens, laundry rooms, foyers and mud rooms as well, with no worry that water damage might be an issue at some point. Tile is also a great addition to living rooms and bedrooms as well, and can boast a variety of looks in those settings. 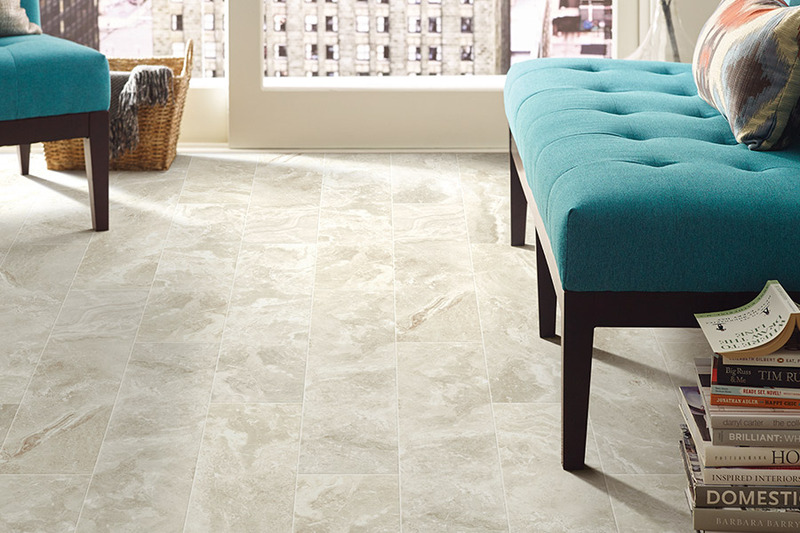 On one end of the spectrum, you have the very natural looking porcelain tile, with no two tiles looking the same. Covered with a clear glaze, it’s a great companion to nearly any decor. On the other end of the spectrum, you’ll find ceramic. Much more artistic, with their colorful glazes, these are the tiles that can really add personality to your space. Create solid color patterns or intricately designed mosaics with differently shaped and sized tile pieces. For the absolute best results, make sure that you engage a professional installer to put these floors in place. Specialized tools are a necessity, as is a certain degree of experience and our installers easily have both.